Vodka doesn’t have the greatest reputation in the spirits industry. It’s often brushed off as bland or burning—cheap swill for mixing with juices or using as a neutral base in other cocktails. On the other end of the spectrum, there are the ultra-premium vodka brands better suited for nights at the club or for the top shelf at the bar. Recently though, craft distillers have raised the bar on vodka just as they have on rum, whiskey, and gin. 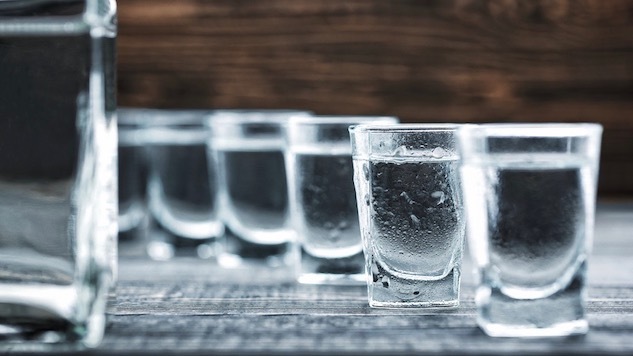 These smaller batches are turning out vodkas with some real character from ingredients like wheat and rye and high-quality water and elevated distilling practices. Here are several bottles to seek out if you’re looking to up your vodka game beyond the usual suspects. If you’re seeking a vodka recommendation, why not turn to Oprah? She named this organic line of vodka as one of her “favorite things” for 2015. The original vodka is made with water from the Snake River in the Grand Teton watershed and 100% American rye. It’s 80 proof for a smooth finish. Along with the flagship vodka, Square One also produces cucumber, basil, bergamot and botanical spirits. One of America’s most inventive breweries also makes a worthy sipping vodka. Dogfish Head launched a distilling portfolio back in 2015 that included its Analog Vodka. The vodka takes a page from the brewing process by using 100% brewer’s malt and the brewery’s signature yeast. Those ingredients give the vodka flashes of Dogfish Head’s distinctive beer style, and the malted barley and caramelized sugars bring a complex and almost whiskey-like mouthfeel to the final product. Analog Vodka is currently available in Delaware, Maryland, D.C., and Virginia. Based out of the town of Basalt in Western Colorado, Woody Creek’s standard vodka is 100% potato based. The potatoes are grown on a family-owned farm just eight miles from the distillery, making for a quick turnaround from soil to still. The final product is 40% ABV and suited for sipping or mixing. It won both gold and double gold medals at the 2015 San Francisco World Spirits Competition. Any discussion of craft vodka starts with Tito’s. The Austin, Texas distillery started making good vodka way back in 1997 with Tito Beveridge himself at the helm. The brand continues to grow its reputation and footprint in the U.S. and abroad. It’s no longer the small upstart distiller it once was, but it continues to be a favorite of bartenders and drinkers across the country. Tito’s uses a 100% corn base and copper stills for a vodka that places a premium on drinkability—it’s smooth straight and mixes well, all for a mid-range price. Vodka fans around the nation’s capital should pick up a bottle of One Eight Distilling’s District Made Vodka (80 proof). This rye-based spirit is far from bland. Its makeup brings a flavorful and slightly spicy taste that borrows characteristics from the distillery’s rye whiskey. The finish is sweet and clean. One Eight Distilling sources its vodka ingredients from the mid-Atlantic states of Maryland, Virginia, and North Carolina. It’s currently available in Maryland and D.C. and the effort in searching it out is well worth it. This 80-proof vodka is part of the 86 Company portfolio, which also produces Fords Gin, Cana Brava rum, and Tequila Cabeza. Despite its name, Aylesbury Duck is distilled in the Canadian Rockies, far from the bird’s native England. It’s made with soft white winter wheat and then bottled in Northern California using Mendocino county water. The vodka is lightly filtered to retain some subtle grainy notes. Ultimately, it’s designed to stand up in cocktails, whether it’s a Bloody Mary or a Moscow Mule. Iceland continues to be a buzzy travel destination, and Reyka vodka gives fans a way to experience the island back home in the U.S. As the name alludes to, Reyka distillery is located nearby the country’s capital of Reykjavik and uses glacial spring water—about as pure as it gets. The whole operation is powered by steam from the nearby hot springs. Reyka measures in at 40% ABV with a smooth, subtle and slightly sweet taste. Go ahead and mix it or pour it over ice and reminisce about glacial hikes through Iceland.